Lafayette Memorial Park Cemetery was founded in 1953 by Dr. James Comeaux. It was the first memorial park cemetery featuring perpetual care in the Lafayette Area. 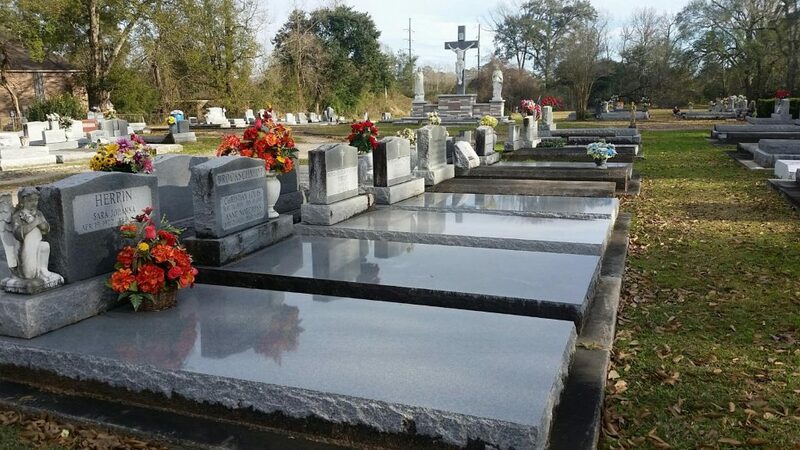 In 1984, the Rene “Poochie” Delhomme family took over management and control of the cemetery, which is now in its 4th generation of service to the death care industry. Lafayette Memorial Park Cemetery presently boasts a beautiful chapel mausoleum with crypts for traditional burial and niches for cremated remains. Lafayette Memorial Park Cemetery is proud to protect the heritage of the largest number of veteran burials in Acadiana and also works hard to provide the quality perpetual care expected by the families we serve. Holy Mary Mother of God Cemetery was founded in 1962 by Adam Dugas. In 1992, Holy Mary Mother of God Cemetery was taken over by the Rene “Poochie” Delhomme family and in now managed by Danny Delhomme. Holy Mary Mother of God Cemetery is a traditional cemetery with above ground granite and marble tombs. There is also a mausoleum with room for future development.